be reposted without the explicit permission of the copyright holder. righted component of this work in other works must be obtained from the IEEE. Riccardo Mazza. La rappresentazione grafica delle informazioni. Apogeo Editore, Milan (2007). ISBN: 978-88-503-1043-2. Luca Mazzola, Riccardo Mazza. Moodle e la verifica dell'uso delle risorse. In: Matteo Baldoni, Cristina Baroglio, Sandro Coriasco, Marina Marchisio, Sergio Rabellino (eds). E-learning con Moodle in Italia: una sfida tra passato, presente e futuro. Seneca Edizioni (2011). ISBN 978-88-6122-269-4. Riccardo Mazza. Visualization in Educational Environments. In: Cristobal Romero, Sebastian Ventura, Mykola Pechenizkiy, Ryan Baker (eds). 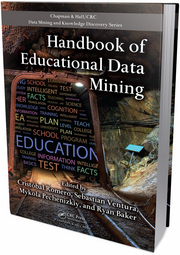 Handbook of Educational Data Mining. CRC Press (2010). ISBN: 9781439804575. pp. 9-26. Dominique Brodbeck, Riccardo Mazza and Denis Lalanne. Interactive Visualization - A Survey. 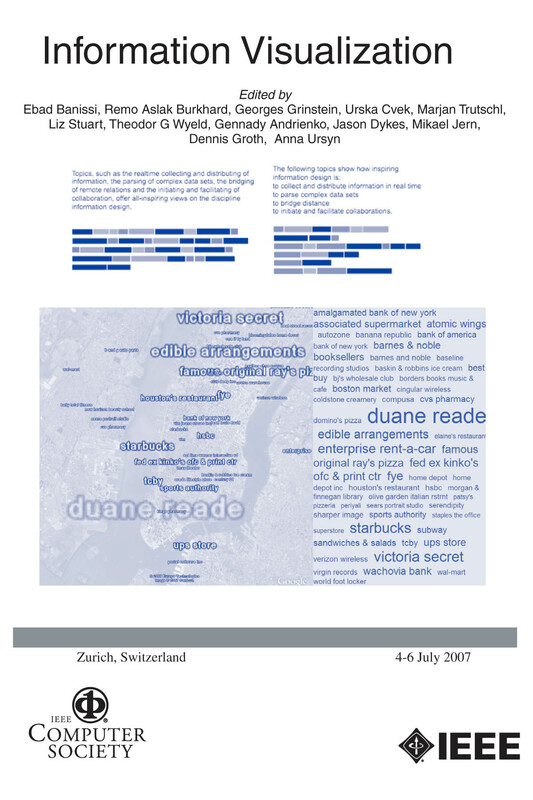 In: Lalanne, Denis; Kohlas, Jürg (Eds.). 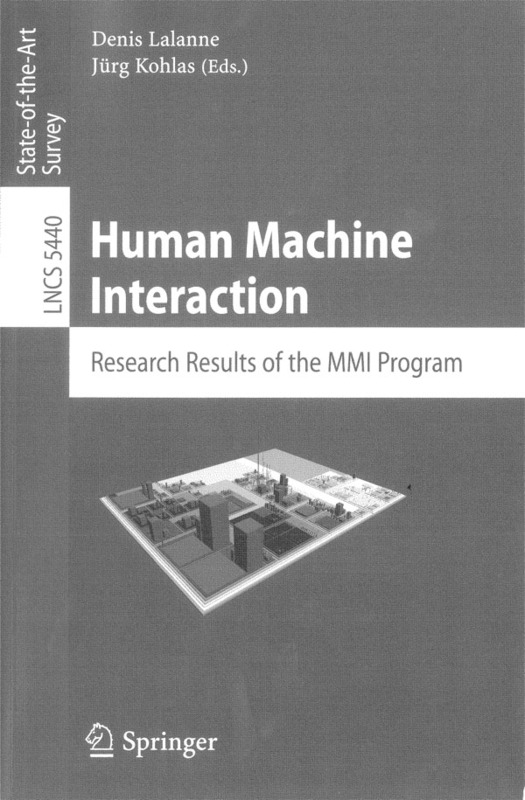 Human Machine Interaction, Research Results of the MMI Program. Springer-Verlag, Berlin (2009), LNCS 5440, pp. 27-46. ISBN: 978-3-642-00436-0. Riccardo Mazza, Luca Botturi, Stefano Tardini. L’introduzione, l’adattamento e l’estensione di Moodle nelle università della Svizzera italiana. 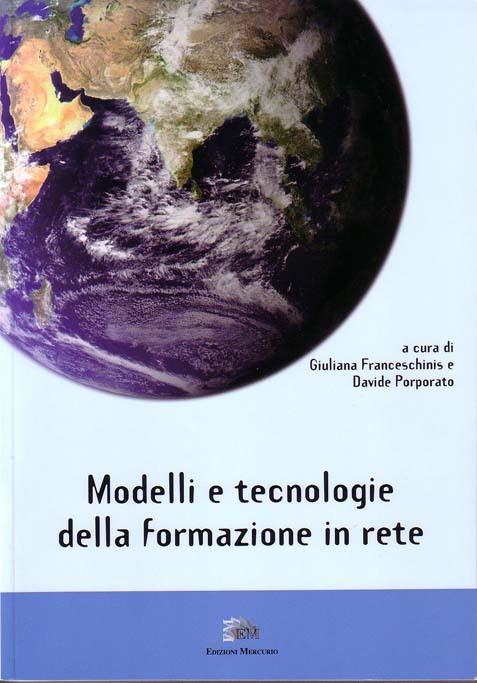 In Giuliana Franceschinis & Davide Porporato (eds), Modelli e tecnologie della formazione in rete. Edizioni Mercurio, Vercelli (2007). pp. 275-286. ISBN 978-88-95522-09-8. Luca Botturi, Riccardo Mazza and Stefano Tardini. FOSLET 2006. 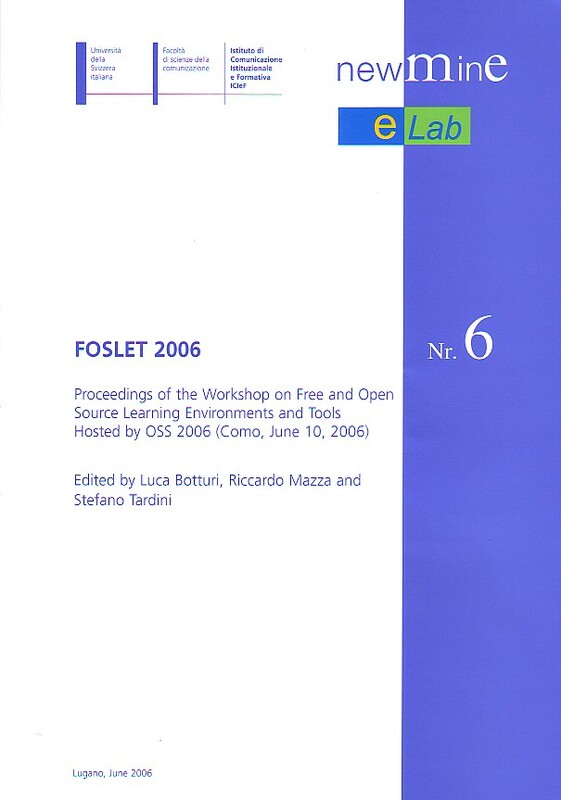 Proceedings of the workshop on Free and Open Source Learning Environments and Tool. 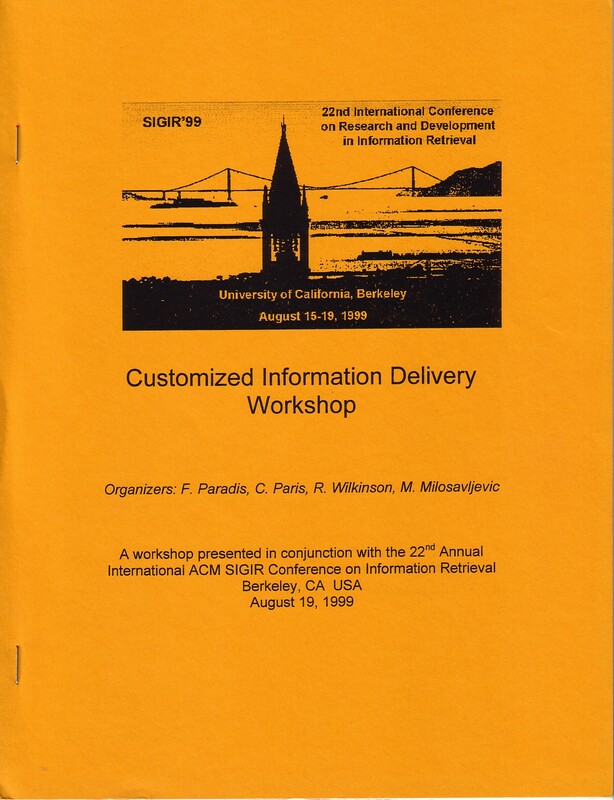 Held in conjunction with the second international conference on Open Source Systems – OSS 2006. June 8-10 2006, Como, Italy. Luis de-la-Fuente-Valentín, Daniel Burgos, Riccardo Mazza (editors). IJIMAI 2014 - Special Issue on Multisensor User Tracking and Analytics to Improve Education and other Application Fields - Vol. 2 Issue 7. 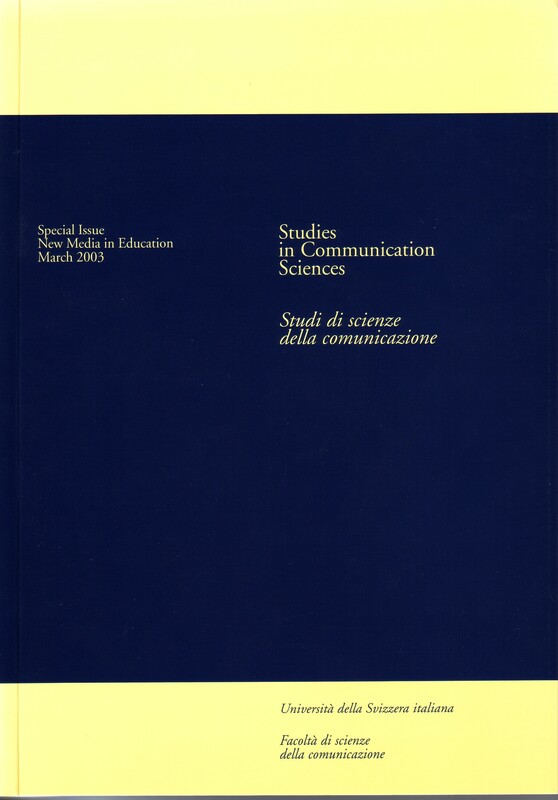 ISSN: 1989-1660. http://www.ijimai.org/journal/node/679. Riccardo Mazza, Stefan Kunz, Cathal Ryan, John Wells. DELAROSE : e-learning con crediti formativi per gestire lo stress lavorativo. TD Tecnologie Didattiche, Vol. 24, n. 1, p. 61-64, July 2016. ISSN 2499-4324. J5 Riccardo Mazza, Vania Dimitrova. CourseVis: A Graphical Student Monitoring Tool for Facilitating Instructors in Web-Based Distance Courses. 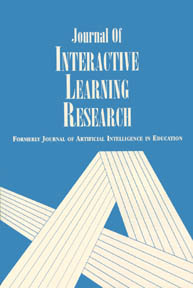 International Journal in Human-Computer Studies (IJHCS). Vol. 65, N. 2 (2007). pp. 125-139. Elsevier Ltd.
J4 Riccardo Mazza. An information visualization approach to textual variants. 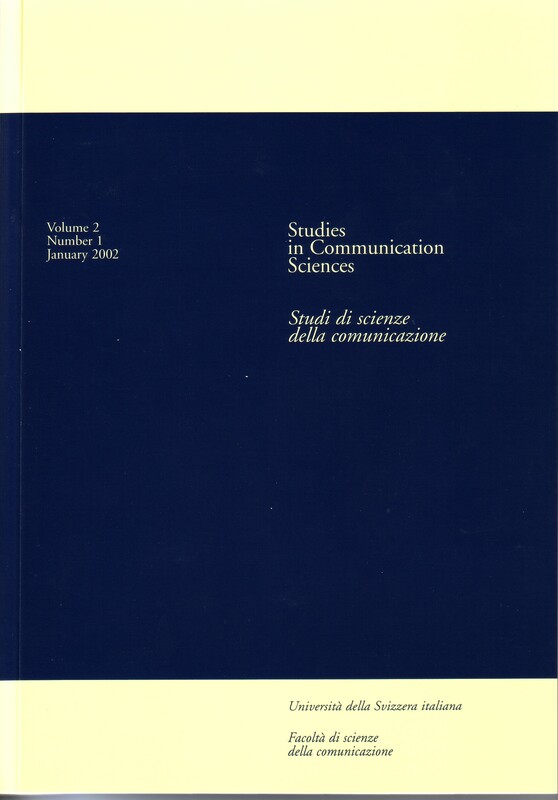 In: “The Evolution of Texts: Confronting stemmatological and Genetical Methods, Proceedings of the International Workshop held in Louvain-la-Neuve on September 1-2, 2004, edited by C. Macé, P. Baret, A. Bozzi, L. Cignoni”. Linguistica Computazionale, volumes XXIV-XXV. Istituti Editoriali e Poligrafici Internazionali, Pisa-Roma. 2006. pp. 127-139. ISBN: 88-8147-435-2. ISSN: 0392-6907. J3 C. Macé, C. Peersman, R. Mazza, J. Noret, M. Van Mulken, E. Wattel, P. Canettieri, V. Loreto, A.-C. Lantin, Ph.V. Baret, P. Robinson, H. Windram, M. Spencer, C. Howe, M. Albu, and A. Dress. Testing methods on an artificially created textual tradition. 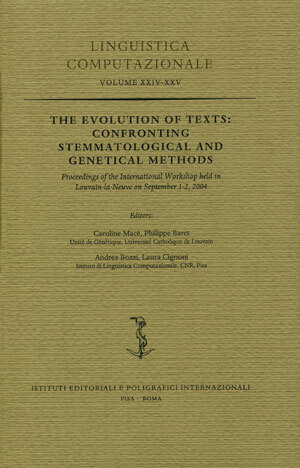 In: “The Evolution of Texts: Confronting stemmatological and Genetical Methods, Proceedings of the International Workshop held in Louvain-la-Neuve on September 1-2, 2004, edited by C. Macé, P. Baret, A. Bozzi, L. Cignoni”. Linguistica Computazionale, volumes XXIV-XXV. Istituti Editoriali e Poligrafici Internazionali, Pisa-Roma. pp. 255-283. 2006. ISBN: 88-8147-435-2. ISSN: 0392-6907. Giulio Tavarnesi, Andrea Laus, Riccardo Mazza, Luca Ambrosini, Nadia Catenazzi, Salvatore Vanini, Don Tuggener. Learning with Virtual Patients in Medical Education. BIn: Vania Dimitrova, Sambit Praharaj, Mikhail Fominykh, Hendrik Drachsler (eds). 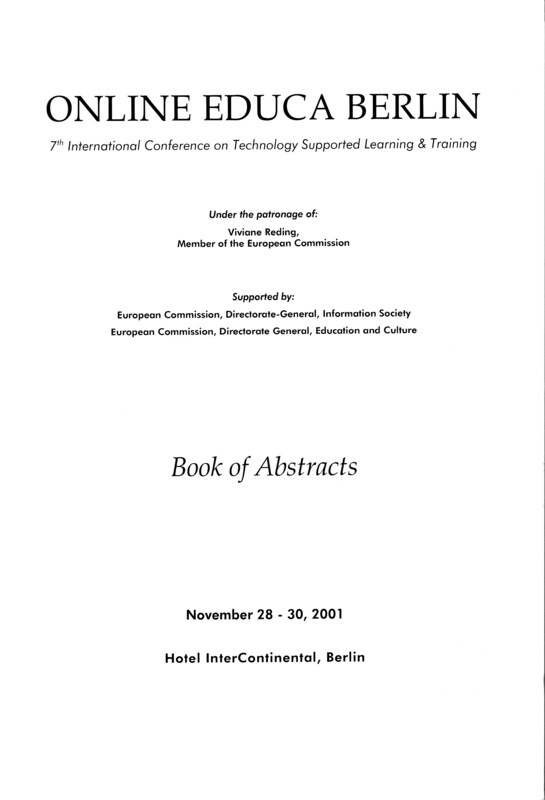 EC-TEL Practitioner Proceedings 2018: 13th European Conference On Technology Enhanced Learning. Leeds, UK, September 3-6, 2018.CEUR Workshop Proceedings, vol. 2193. http://ceur-ws.org. ISSN: 1613-0073. P20 Mazzola Luca, Mazza Riccardo. GVIS: A Facility for Adaptively Mashing Up and Representing Open Learner Models. In: Martin Wolpers, Paul A. Kirschner, Maren Scheffel, Stefanie Lindstaedt and Vania Dimitrova (eds.). Sustaining TEL: From Innovation to Learning and Practice. 5th European Conference on Technology Enhanced Learning, EC-TEL 2010, Barcelona, Spain, September 28 - October 1, 2010. Springer-Verlag, Berlin. LNCS 6383, 2010. pp. 554-559. ISBN: 978-3-642-16019-6. (poster paper). P19 Mazzola Luca, Mazza Riccardo. Un sistema per il monitoraggio per il supporto delle attività di studenti e docenti: un test case. 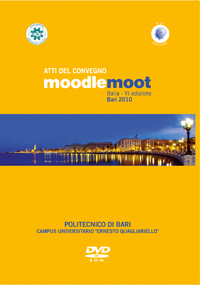 In: Atti del convegno italiano MoodleMoot 2010 - Bari , Italia. ISBN 978-88-8459-162-3. P17 Mazzola Luca, Eynard Davide, Mazza Riccardo. GVIS: a framework for graphical mashups of heterogeneous sources to support data interpretation. 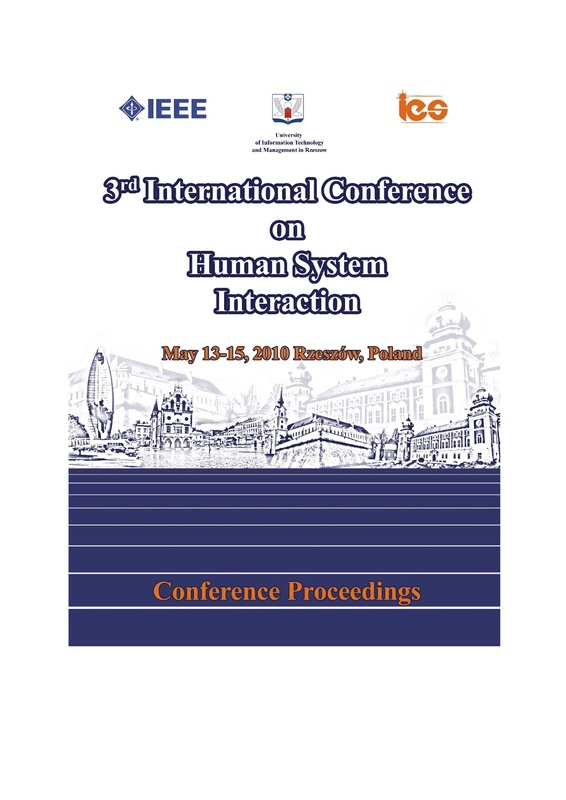 In: 3rd Conference on Human System Interactions, 2010. HSI '10. pp. 578-584. 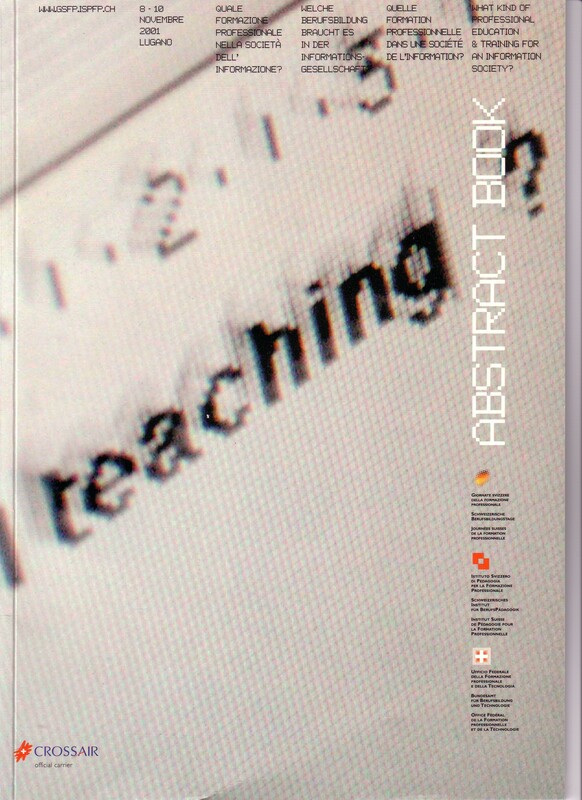 ISBN: 978-1-4244-7560-5. http://dx.doi.org/10.1109/HSI.2010.5514511. P14 Luca Mazzola, Riccardo Mazza. Supporting Learners in Adaptive Learning Environments through the Enhancement of the Student Model. In: Julie A. Jacko (ed. ), Human-Computer Interaction. Interacting in Various Application Domains, 13th International Conference, HCI International 2009, San Diego, CA, USA, July 19-24, 2009, Proceedings, Part IV. Springer, 2009. pp. 166-175. 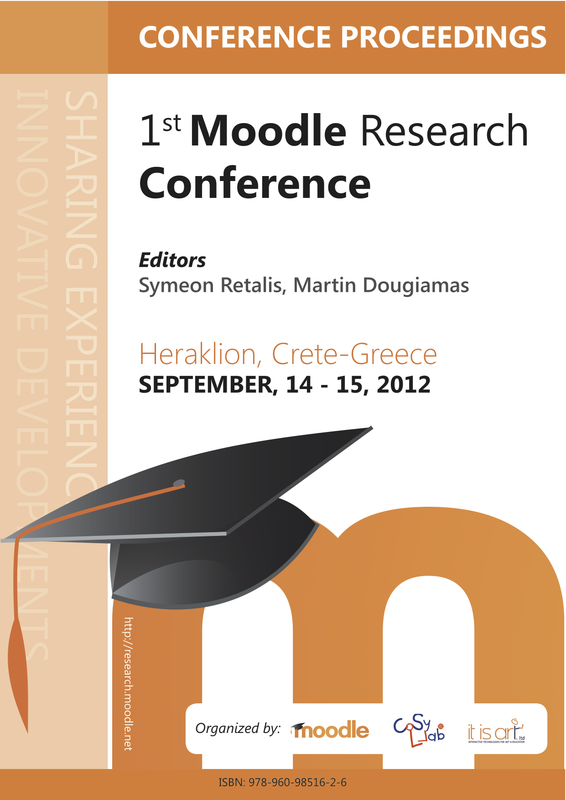 ISBN: 978-3-642-02582-2. http://dx.doi.org/10.1007/978-3-642-02583-9_19. P12 Nadia Catenazzi, Lorenzo Sommaruga, Riccardo Mazza. User-friendly ontology editing and visualization tools: the OWLeasyViz approach. 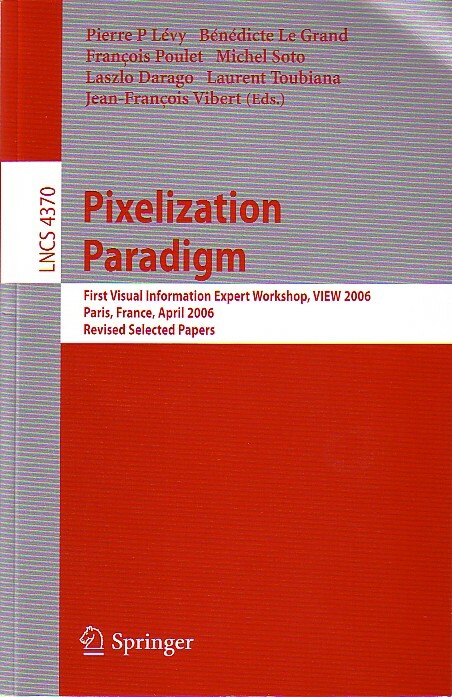 In: Proceedings of the 13th IEEE International Conference on Information Visualisation. Barcellona, Spain. 14-17 July 2009. pp. 283-288. IEEE. ISBN: 978-0-7695-3733-7. Riccardo Mazza, Alessandra Berrè. Focus Group Methodology for Evaluating Information Visualization Techniques and Tools. 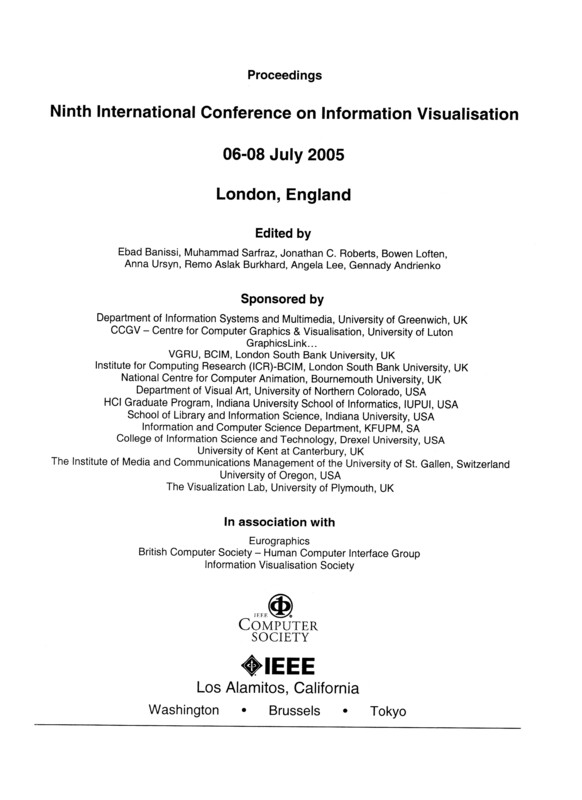 In: Proceedings of the 11th IEEE International Conference on Information Visualisation. Zurich 2-7 July 2007. pp. 74-80. IEEE. ISBN: 0-7695-2900-3. http://doi.ieeecomputersociety.org/10.1109/IV.2007.51. P6 Riccardo Mazza, Vania Dimitrova. Generation of Graphical Representations of Student Tracking Data in Course Management Systems. In: 9th IEEE International Conference on Information Visualisation. London 6-8 July 2005. pp. 253-258. IEEE. ISBN 0-7695-2397-8. P4 Riccardo Mazza, Vania Dimitrova. CourseVis: Externalising Student Information to Facilitate Instructors in Distance Learning. In: U.Hoppe, F. Verdejo, J,. Kay (eds.) 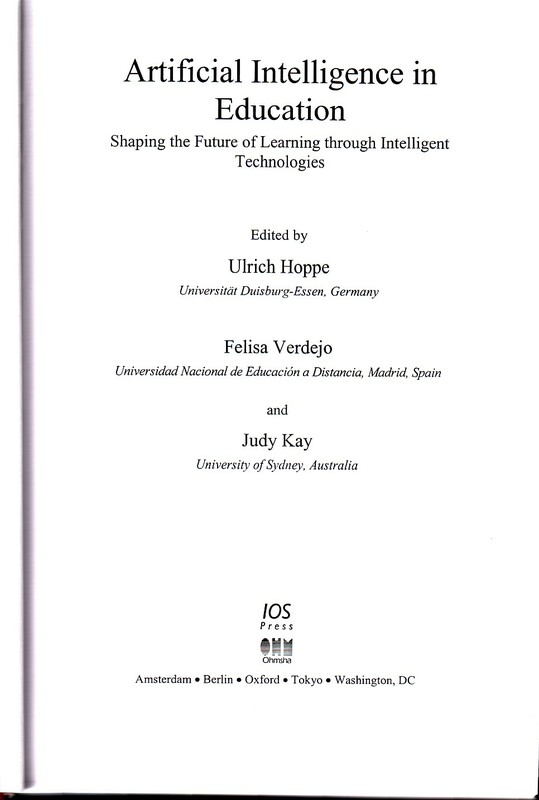 Proceedings of the International conference in Artificial Intelligence in Education. Sydney July 20-24, 2003. (AIED 2003). IOS press. pp. 279-286. ISBN 0922-6389. R8 Riccardo Mazza, Christian Milani. Exploring Usage Analysis in Learning Systems: Gaining Insights From Visualisations. 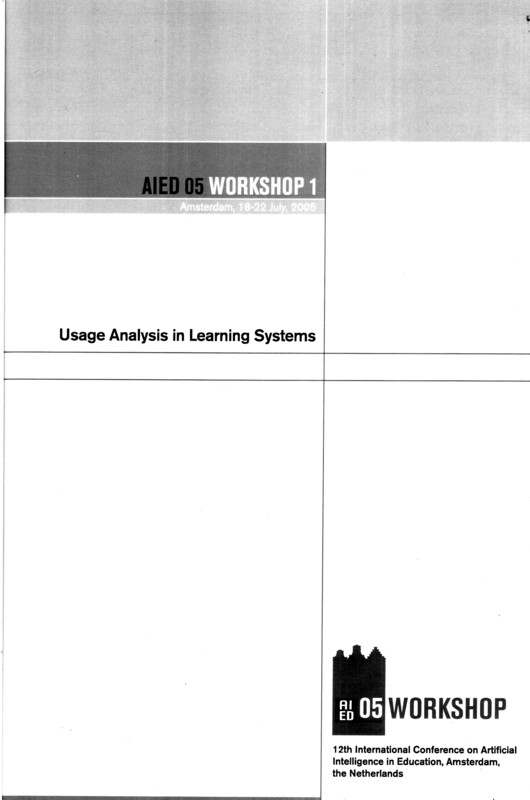 In: Workshop on Usage analysis in learning systems. 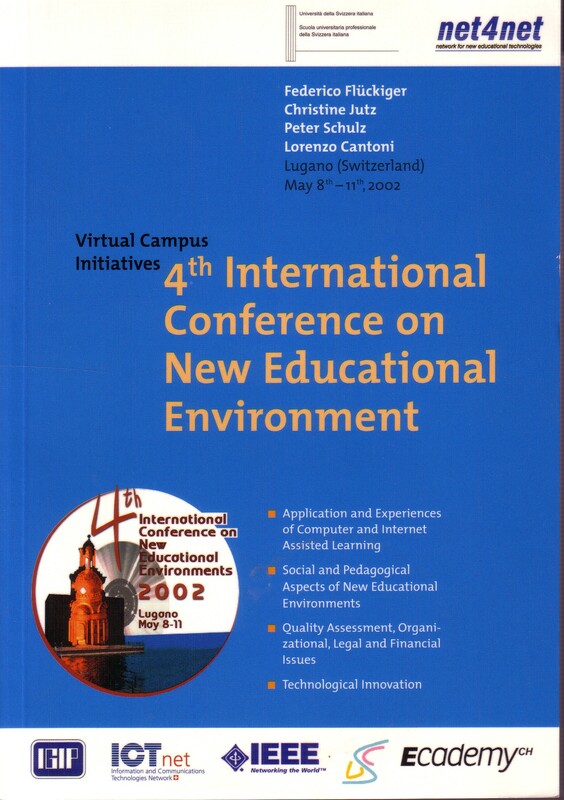 12th International Conference on Artificial Intelligence in Education (AIED 2005). Amsterdam, The Netherlands. 18 July 2005. pp. 65-72. Riccardo Mazza, Christian Milani. GISMO: a Graphical Interactive Student Monitoring Tool for Course Management Systems. 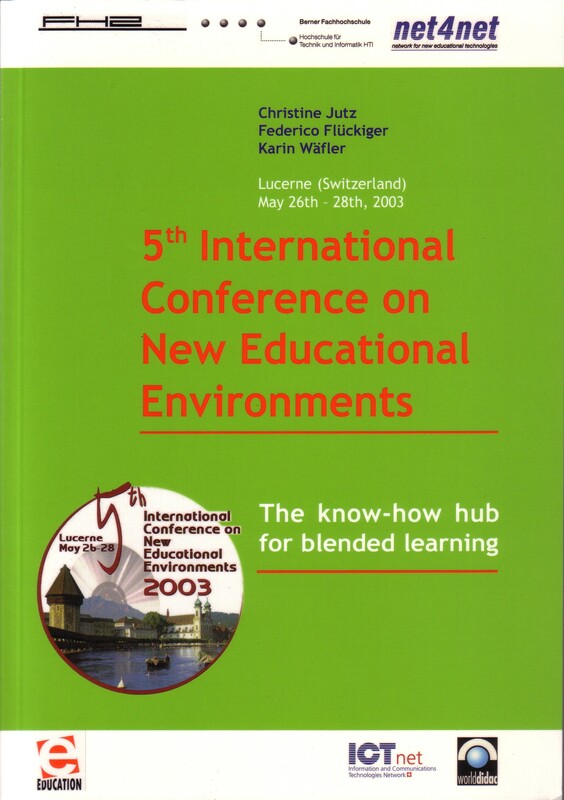 In: T.E.L.’04 Technology Enhanced Learning ’04 International Conference. Milan, 18-19 November 2004. Riccardo Mazza. External Representation Of The Student's Knowledge In a Web-Based Learning Environment. 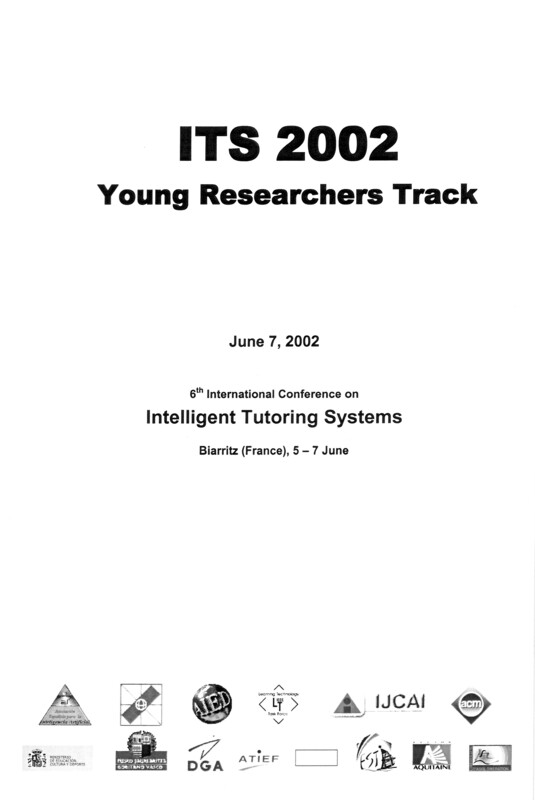 In: ITS, International Conference on Intelligent Tutoring Systems, Young Researchers Program. Biarritz, June 5-7, 2002. R5 Riccardo Mazza, Federico Flueckiger, Carlo Lepori, Lorenzo Cantoni, Osvaldo Arrigo. Open Distance Education at Southern Switzerland University of Applied Sciences: Some Results and Reflections. In: ONLINE EDUCA BERLIN, 7th International conference on technology supported learning & training. Berlin, November 28-30 2001. R3 Riccardo Mazza. Formazione continua e classe virtuale: l'apprendimento del linguaggio Java tramite tecnologie di formazione a distanza. 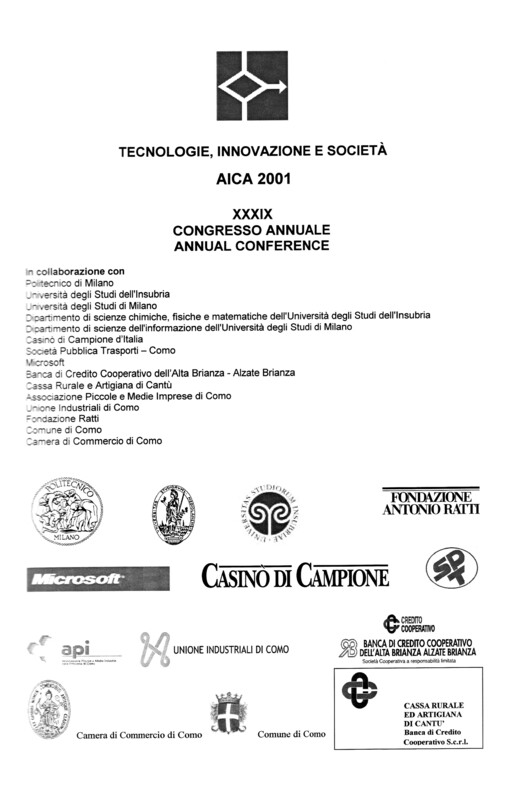 In: XXXIX Congresso annuale AICA, Tecnologie, Innovazione e Società. Como 19-21 September 2001. 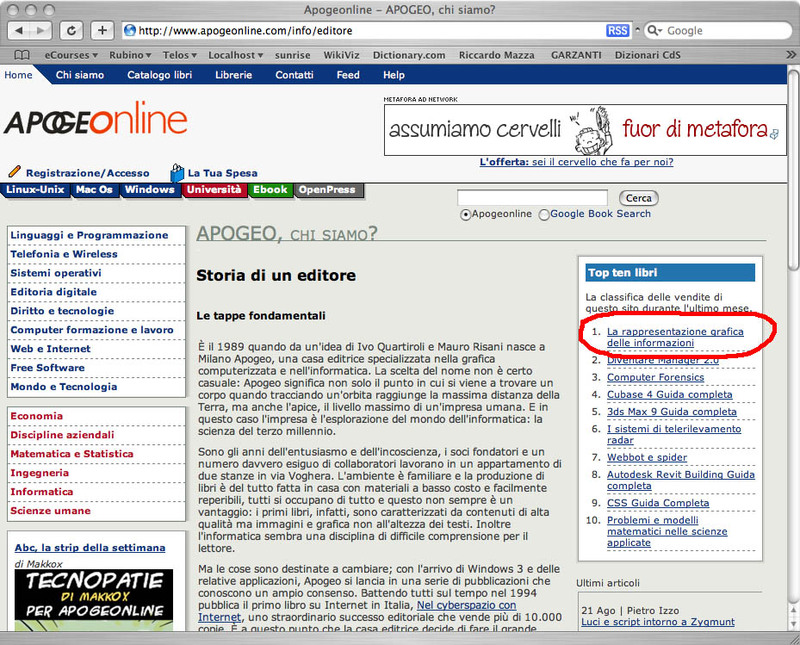 Italiano XML e Conoscenza, ACM Italian Chapter - Special Interest Group on Applied Computing. Crema (Italy), 29-30 June 2001. L. Cantoni, P. Jannuzzi, B. Lepori, R. Mazza. Delivering Relevant Information to Interested Users. Internal scientific report, Università della Svizzera Italiana, June 1999.